"The Top Ten Science Fiction and Fantasy Movie Soundtracks of All Time"
For the intent of this article I am focusing on both song collection and original movie score soundtracks within the genres of science fiction, fantasy and horror. Those are the speculative elements that must be present in the movie itself for qualification in this list. I also mixed my music choices up a bit. I looked at both classical compositions and popular music, especially hard rock and heavy metal. These forms of music seem to go hand-in-hand with science fiction, fantasy and horror movies. I once argued with a Professor of Musicology about the validity of movie soundtracks and their contribution to classical music. I think that some of the best and most original classical music as well as pop music compilations being made today come from movie musical scores. And some of the best music comes from genre films. If Beethoven and Mozart were alive today they would be doing movie soundtracks. This soundtrack was composed by Brad Fiedel, who was probably most notable for his work with 80’s glib musical act Hall & Oats. His inclusion of percussive movements and symphonic passages within the overall synth/technotronic sound gave this soundtrack an expansive, otherworldly feel. Some of the highlights of the soundtrack include the heart pounding theme song, “Sarah’s Dream,” “Desert Suite” and “Cameron’s Inferno.” This collection of songs represents a valiant effort by Fiedel to accentuate the cinematic art of James Cameron’s vision with an accompaniment of cutting edge tracks. While the excellent Guns ‘N Roses song “You Could Be Mine” utterly made the trailer alone worthwhile, even though MTV ran the video into the ground, one gets the feeling that this such type of music would have been better for the movie. One gets the sense that a soundtrack chockablock full of heavy, edgy music of the time such as Soundgarden, Machines of Loving Grace, PJ Harvey, Nine Inch Nails et al, would have felt more realistic. 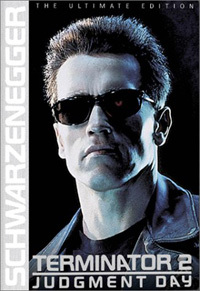 But the classical and technotronic tracks give Terminator 2 an epic feel much like such music did for Conan The Barbarian or the many Star Trek movies. 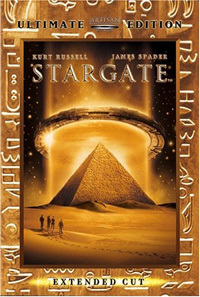 Note : one of the odd but cool featurettes on the limited-edition DVD is the section "Is There a Stargate ?" which includes a poignant interview with Erich von Daniken, author of controversial bestseller Chariots of the Gods. There is a specific reason why I wish to discuss both these soundtracks together. The theme from the very first Star Wars movie produced in 1976 by George Lucas and the theme from 2001 : A Space Odyssey are arguably the two most recognizable modern classical composition on earth. Both represent the quintessential genre-based, classical music movie score and represent the type of music that I referred to when discussing my position with that musicology professor. Both musical scores are essential to the each movie, but between the two I would have to give the ever so slightest nod to 2001 : A Space Odyssey. 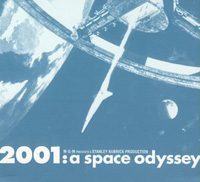 For the 2001 musical soundtrack Stanley Kubrick had a reputation for seeing a complete vision when it came to his movies. Unlike most movie producers who have nothing to do with the soundtrack, Kubrick took a hands on approach. He enlisted the aid of such venerated classical performance groups such as Vienna Philharmonic Orchestra, Bavarian Radio Symphony Orchestra, Berlin Philharmonic Orchestra, St. Petersburg Philharmonic Orchestra, Stuttgart Schola Cantorum and the Internationale Musikinstitut Darmstardt. That line-up is as about as big as they come in the world of classical music, back then as well as now. Also, Kubrick scrapped Alex North’s original score for 2001 : A Space Odyssey in lieu of the transitory tracks he had used for editing, thus turning Richard Strauss’ “Also Sprach Zarathustra” into an unlikely piece of 20th-century pop culture trivia. One of the oddest byproducts of these songs was their combined inclusion on an otherwise horrible K-Tel movie score compilation record that was released in 1978. The melody of 2001 ran headlong into the Star Wars theme as if they were one song. It ranked right up there in abhorrence along with that year’s other disposable releases such as those infamous Kiss solo albums, Mac Davis’ Greatest Hits and all the disco tripe from Casablanca records. This soundtrack was composed by Mike Oldfield and the singular haunting “Tubular Bells” quite literally made Sir Richard Branson’s Virgin empire. This movie was one of the scariest horror movies ever made and the soundtrack follows suite with some of the most eerie music ever made. With the beginning tones of this classic composition the hair on the backs of the necks of the audience who packed theaters to witness one of the scariest films of all time, would stand on end. A sense of foreboding would come over them. And before long it was clear that they were seeing and hearing something special. 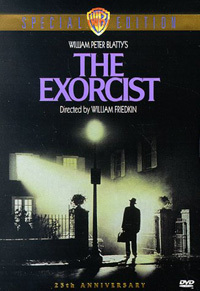 Arguably the best horror film ever made. It didn’t take long for this debut release from artist Mike Oldfield and Richard Branson’s fledgling record label, Virgin, to climb into the upper echelons of international pop charts. Primarily an instrumental album, with the majority of performances done by Oldfield, this soundtrack takes on a mysterious journey into the unknown and will stick with you for days afterward. This may come as a surprise to many readers but as disjointed as this movie was, the soundtrack was actually incredible. The movie itself was typical sequel junkfest on par with the likes of Hellraiser 3 (remember the Cenobite that shot CDs out of his head ?) or Jaws 2. But the music marketers had their game face on when it came to developing an excellent musical score for the movie that is if you like heavy rock music. With a collection of makeshift sound clips seemingly improbable on paper, this soundtrack utterly rocks through and through. From Hole’s cover of the Fleetwood Mac classic, “Gold Dust Woman” to White Zombie’s “I’m Your Boggieman” to PJ Harvey’s “Naked Cousin” this soundtrack rips through the movie like a chainsaw. Even the Punk God himself Iggy Pop makes an appearance here with a live version of his classic, “I Wanna Be Your Dog.” Pure gold ! 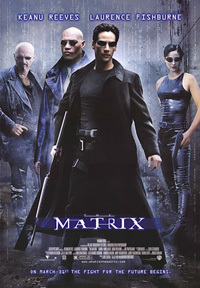 This was one of the most interesting and eccentric movies ever made. The soundtrack is no different. Stanley Kubrick’s relentless perfectionism in all aspects of the filmmaking has, as an ironic byproduct, unquestionably led to some of the most memorable soundtracks of the modern era. 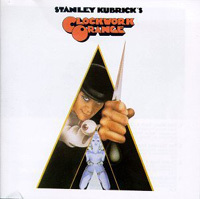 First it was 2001 : A Space Odyssey, then in 1971, within the adaptation of Anthony Burgess’s portentous tale, A Clockwork Orange, Kubrick again sought to turn to the classics for musical score inspiration. Malcolm McDowell’s protagonist Droog Alex’s taste for Beethoven is given a modern adjustment. Moog synthesizer pioneer Walter (now Wendy) Carlos wrote an eerie and bizarre film score. Focusing mostly on the Ninth Symphony, Carlos made a classic out of a classic. I have heard complaints the electronics involved give the movie a dated feel. Nonsense. It is still as disturbingly and effectively other-worldly as it was when it was released. The use of Gene Kelly’s hit single "Singin’ In The Rain" made for a decidedly off kilter ending. I would actually recommend taking a Saturday and watching A Clockwork Orange, then Pink Floyd’s The Wall in secession for an utter psychedelic headtrip. It seems to me that Roger Waters et al might have watched A Clockwork Orange a few times for inspiration for their movie. I would suggest doing the same with the soundtracks. Not only was the first installment of this trilogy one of the best science fiction movies of all time, but its soundtrack also stands out as one of the best ever. Mind you though, this one’s not for the meek. There is nothing but pure heavy metal and techno industrial grooves here, so you are warned. This record kicks on the afterburners immediately with the Marilyn Manson track “Rock is Dead” and just gets more intense from there. With the likes of Meat Beat Manifesto, Rob Zombie, The Prodigy, Rammstein, Rage Against The Machine and the Propellerheads ripping out the heart of the music beast and placing it on the altar of the aural gods, you haven’t a chance to come up for air. But the most intense moments are reserved for Ministry and Monster Magnet. Ministry’s “Bad Blood” is a lethal dose of adrenaline rock will blow your speakers out and Monster Magnet’s mysterious and otherworldly “Looking Into Your Orb” is one headtripping musical event. It’s like Hawkwind on a serious acid trip or a bad case of food poisoning. Probably the oddest tune would have to be Hot Rod Herman’s Ibiza rave mix of Rob Zombie’s solo anthem, “Dragula” - Neo and Agent Smith are dead, long live the music. The Crow’s soundtrack is mostly a mix of heavy rock with some goth elements wandering about like a lost stepchild at a Star Trek convention. 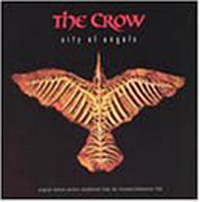 The Crow is a classic, and its soundtrack is no exception. From contributions of such as the stunning “Burn” from The Cure and “Snakedriver” from the Jesus & Mary Chain to the hammering sludge of “Milktoast” from Helmet, this record rolls. Pantera’s “The Badge” and “Ghostrider” by the Rollins Band, is like getting hit in the head with a sledgehammer, which in this case is a good thing. The true gems on this soundtrack however, are Nine Inch Nails “Dead Souls” and Machines of Loving Grace “Golgotha Tenement Blues” - both exemplify the intensity this movie brings to the silver screen. Perhaps the hidden treasure on this record is “After The Flesh” by My Life With The Thrill Kill Kult. The only thing missing was a Godflesh tune or this soundtrack would have been perfect. 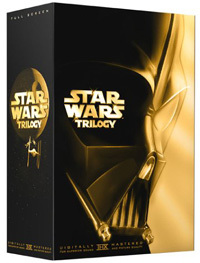 This trilogy was simply a thing of beauty. 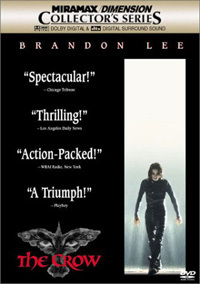 One of the few times that a movie lived up to and surpassed all the hype that surrounded it. The soundtrack also lived up to the billing. Howard Shore’s sweeping Academy-Award winning orchestration may be the best classical music made within the last fifty plus years. It is simply stunning. The compositions were a brilliant representation of modern classical music. 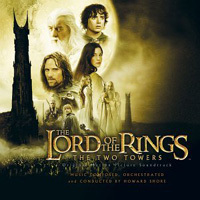 If someone ever says to you that soundtrack music is derivative and useless, have them listen to the Lord of the Rings set. 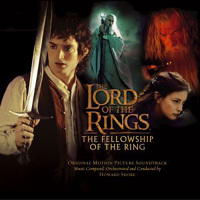 In addition to the wonderful classical music score this soundtrack includes Enya’s smash hit "May It Be," Annie Lennox soaring “Into the West,” along side of hypnotic movements like “Breath of Life” performed by Sheila Chandra. 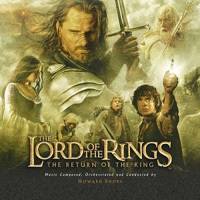 The richness and diversity of this collection is accentuated by performances from actor Billy Boyd, “The Steward of Gondor” and Viggo Mortensen, “The Return of the King” - both of which are breathtaking. Billy Boyd stupendous bardic ballad may be one of the most soul stirring vocal performances ever in the history of movie making. If his rendition of “The Steward of Gondor” did not make the hair on the back of your neck stand on end, then you are not alive. Well, there you have my top ten science fiction and fantasy movie soundtracks of all time. I am sure there will be many that disagree with my picks, but hey we are all entitled to our opinions. Michael Lohr is a freelance writer living in America. His writing has appeared in such diverse magazines as Rolling Stone, The Economist, Men’s Journal ; Outside Magazine : Southern Living ; Bluegrass Unlimited and Blue Ridge Country, to name a few.